Concern over the ever increasing cost of a college education is something shared by most parents whose children are headed down a college-prep track in their high school years. 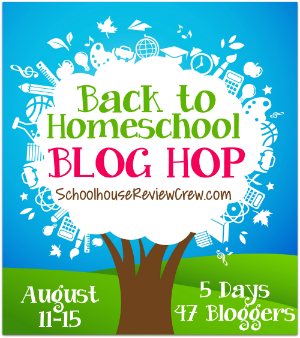 This concern can be amplified incredibly for the homeschool parent. We currently have two that are being homeschooled through high school and two more not far behind. Upon reaching those high school years, we found a lot of resources that help you to know how many credit hours to take in which subjects and there is definitely no shortfall of curriculum companies that have materials for you to purchase to satisfy these requirements. However, there was an empty spot where the high school guidance counselor used to sit. The spot where you had that person sharing with you about college scholarships, completing the FAFSA, and knowing when to do what. 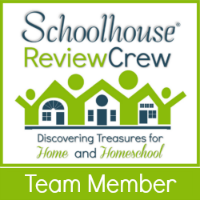 “Where is the resource to meet this need for homeschoolers?”, I asked. Going to College and Paying for It is just the resource we were looking for. Going to College and Paying for It is a product of College Commonsense. Denise Ames, founder of College Commonsense, is a financial aid adviser on a college campus and richly shares through the wealth of her knowledge in helping to finance your child’s education. Going to College and Paying for It is a series of 4 video segments that walk the parent and student through not just the mechanics, but also sound financial understanding, of identifying various financial avenues one should consider in developing a complete portfolio of resources to be used in paying for college. The video segments can be purchased on either DVD or a one year online subscription. There is also an accompanying 35 page workbook that is ready for download. When I first heard of this review, my initial thought was that it would be great for me to take a peek at and then purchase it again later when we were really ready for it. My thoughts were focussed on that mad dash during the senior year. What I didn’t realize was the focus that is placed on encouraging your child to take real ownership of this aspect of their education as well. This made a lot of sense once I really got thinking about the economics of our world. Where would the best rate of return be for our children? We see so many high schoolers looking for part-time employment to help save for college. The reality is that the amount that they would really be able to save is negligible compared to the true cost of their tuition. Don’t get me wrong. Those funds from working at the local fast food restaurant will help pay for gas money, textbooks, and small living expenses. With college costs soaring into the tens of thousands of dollars per year, the average part-time employment that high school students can obtain is really not that great. The vision that I caught with the help of College Commonsense was that my child’s earning potential would dramatically increase if those part-time work hours were invested in increasing their SAT/ACT scores and researching grants and scholarships that would offer significant dollars to offset the cost of tuition. Our daughters began catching on to this vision as they watched the video segments with me and completed the tasks in the workbook. The video was put together to address the student in sharing this critical information in a practical no-nonsense way. They were preseneted with basic formulas of how to figure out how much they would need to finally pay for their education once scholarships, grants, and other forms of financial aid were identified. This amount was even compared to their initial earning potential after they graduated so that they could see the impact of any loans that they might consider accruing while in school. I think this lesson was huge in helping them grasp the importance of doing this leg work both before entering college and during the years that they attend. They were directed to begin a three ring spiral notebook as a way of organizing their materials and efforts. The backbone of this system is to put together a tickler file of sorts where the student can keep track of upcoming scholarship deadlines, next steps, and any follow-up that may need to be done in corresponding with those offering scholarships and also with schools. I really liked the binder concept, because it is something concrete that they can devote an hour a week to work on. It is also a great place to store essays that may have been written for scholarships that can be reused for other applications. A lot of my review has been based on what this product has to offer to those in their high school years. 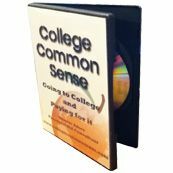 Parents of younger students can also benefit from the resources offered by College Commonsense. There are free newsletters and lesson plans that outline tasks to be completed for children of all ages in preparing the way to Go To College and Pay For It. You can easily subscribe to the free lesson plans by clicking here. In one of the lesson plans, we were able to use a recommended online tool to help identify schools all over the nation that offered the major course of study that each of our children was interested in. They were able to see what states they were in, if there was a religious affiliation, how large the schools were, and how much the tuition was. This led to further discussions of what they would do when they graduated, the impact of living at home while attending college versus attending a school out of state, and also the impact that AP or CLEP credits would have on the financial picture of their education. The cost of Going to College and Paying For It is very reasonable. You can purchase a physical DVD & Workbook for $50 plus $5 for shipping or you can get a 12 month online subscription for $25. With the rising cost of fuel and also the value of time spent, I would consider this to be really wise investment in getting the ball rolling rather than trying to work with a consultant and make early visits to college campuses to ask these questions. Don’t allow this to take the place of college visits once your child begins seriously looking at schools. As a matter of fact, a checklist of how to make the most of college visits is contained in this product as well as a checklist for helping to decide which school might best work for your child and your family. After reviewing these materials, I could also see us using the work accomplished through this program as part of a personal finance credit for their high school transcripts. The rate of return for Going to College and Paying for It just went up a bit more!